I got into cycling at Herne Hill Velodrome, which is just round the corner from where I grew up in South London. The first time I rode there was on as school trip when I was about 10. I remember getting really excited telling my Dad all about it that evening. He asked if I wanted to go back but at the time I was focused on football, a sport he had long since fallen out of love with. Then, to the surprise of the whole family, my 8 year-old sister piped up expressing her interest in having a go on the “bikes with no brakes”. I thought my sister’s enthusiasm would just be a phase but, before I knew it, my Dad and my sister were riding regularly at Herne Hill and even going out for road rides on weekends. Over the next few years I’d spend my Sundays in a muddy park being shouted at for not covering the near post, only to come home to hear about my Dad and Sister’s adventures out on the country lanes with the VCL. Inevitably, the tales of riders toppling into chainring-deep puddles, Steve “Caveman” group’s cafe stops and Pete’s “Land that time forgot” enticed me into the sport. 10 years later I find myself starting my 4th year of life dedicated to the sport. My sister is also supported by the Dave Rayner Fund this season, which will be her second based in Belgium, and my old man can still be spotted half-wheeling Caveman on the VCL club ride. George with his sister Rachel (also funded by the Dave Rayner Fund) in their VCL kit. When I was a second year junior, I got the opportunity to guest for a Spanish team; Assessores de Navarra. As soon as I finished my A-Levels I went out to Spain and haven’t raced in the UK since. I spent the summer of 2015 racing in Navarra and the Basque country with Assessores where I got on the podium a handful of times and managed to win a race in Pamplona. Assessores had a good relationship with the Caja Rural development team, which led to me being offered a place on their program for the following season. About Assessores de Navarra. Assessores de Navarra are now known as Fundacion Lintxu. Since my time with them, they have built a partnership with the VCL. Last season, VCL’s Santiago Cadavid guested for Fundacion Lintxu and won several races. Later in the year, the Spanish riders got the opportunity to ride at Herne Hill Velodrome. Next season more VCL riders will have the opportunity of guesting in Spain. I ended up doing almost 50 races that year for Caja Rural. The demands were high; first-year riders are given no say in their calendar, expected to be in the breakaway at the first time of asking and are never to be seen at the back of the bunch. I was taught how to ride on the front, how to use the convoy cars and how to help position the team before climbs. There was a right and a wrong way to do everything. An experience perhaps best described as a “pro cycling apprenticeship”. We started with a week-long training camp in the south of Spain in a hostel where, aside from riding 4 or 5 hours a day, we were expected to work in teams to cook and clean for ourselves and the staff. Before the camp, some of the more senior riders wrote a shopping list, and each rider would be asked to buy one food item. I checked the team Whatsapp group and put the messages through Google translate to find I was expected to bring 400 bananas. Before the camp I was staying just down the coast in Benidorm and got a lift to the hostel with a teammate who lived nearby. We got to the hostel early to leave in time for a visit to the supermarket. Quite a sight I must have made as the team arrived after having driven the team vehicles from Pamplona: a skinny 18 year old English kid, who barely spoke a word of Spanish, struggling with a supermarket trolley full of bananas. I spent the year living in the team house in Pamplona. Over the course of the season I lived with riders from Uruguay, South Africa, El Salvador, Brazil and lots Spanish riders who’d come to stay between races. All costs were covered by the team but we had to organise cooking, cleaning and training amongst ourselves which taught me some life skills and really forced me to improve my Spanish. I was pleased with my year but it wasn’t enough to earn me a place on the team for the following season. The team director helped me find a place for 2017 with Escribano and explained to me that it was a bit of a limpieza or “clear out year”. The team had performed poorly in the Copa España so big changes were needed. Of the 23 riders on the team that season only 9 were kept on. In saying that, it’s important to note that 4 of the class of 2016 have since joined the Caja Rural pro team. One of whom, Xavi Canellas, joined as a first year when I did. This turn over of riders, from the amateur to the Pro Continental team, not to mention those who leave to join other pro teams each year, makes Caja Rural one of Europe’s top development teams. About the Copa España. The Copa is a series of 9 Spanish national races from February to May. Alongside the summer stage races, these are the highest level races in Spain. As is the case for the majority of races in Spain, the Copa is open to riders up to the age of 26. 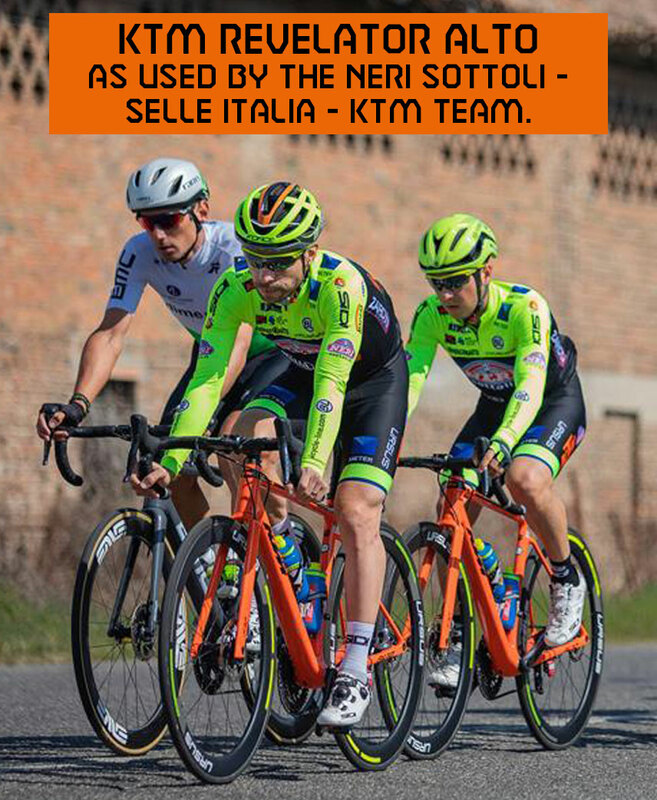 So, unlike other development teams, Caja are not restricted to riders under the age of 23. This makes things even more competitive within the team, as Caja will regularly sign young riders from Continental teams as attracting the top young Spanish riders. I was disappointed not to continue with Caja Rural but when I first met up with Escribano in January 2017, I realized I’d landed on my feet. Based in Madrid and funded by a multimillion Euro arms manufacturing company, Escribano had big ambitions. In their first year they were able to get a place in the Copa España and sign some top riders from all over Spain. 2017 was also my first season supported by the Dave Rayner Fund, which has gone a long way to help me to continue racing in Spain. I started keeping a blog in 2017 where I recorded my experiences with Escribano and, at the end of the season, explained my reasons for changing teams. With Escribano I was still expected to work for the others, but this time things felt different. All I had learned with Caja, and being a year stronger, made me a key part of the team. We won several team prizes at big races including two rounds of the Copa España. This saw us place 3rd overall in the Copa and we finished the year ranked best U23 team in Spain. The biggest result I was involved with was Oscar Cabedo’s win in the queen stage of the Vuelta a Leon. Oscar now rides for Burgos BH, and came 7th in a summit finish in the Vuelta a España last season. When I wasn’t selected to race, or if we didn’t have a race planned, I’d venture north to the Basque Country to race on my own. I managed three top 10s which opened up my options for the following season. I had been offered another year with Escribano but I realized in order to progress I needed to join a team that could offer me more freedom to race for myself. I ended the season feeling like my apprenticeship was over. Now I needed to perform. Once I had decided a change of teams was needed, going to the Basque team Eiser Hirumet was a no-brainer. Eiser ride a double calendar, meaning I could race in the Basque Country as well as continuing with the Copa España and stage races. I wanted to be involved with the top level U26 races but I knew results were more of a realistic goal in the U23 category. With Eiser, I could continue with the longer, harder Copa España races crucial for my development while also making the most of the Basque U23 calendar where I had already proven I was capable of contesting the win. While a top 20 in a Copa España is a big achievement, it doesn’t turn many heads outside of Spain, the way a top 5 in an under 23 race might. With Eiser I hoped I could find the balance. Eiser offered me a place in the team flat where I spent the season with the other foreign riders. Most of the Basque riders also live in Durango as do the team staff, this making team training and travel to races very easy. Despite the team, living conditions and calendar being perfect 2017 was a disaster for me. I suffered with breathing issues which held me back in the races. Eventually I was diagnosed with a deviated septum and returned to the UK to have surgery, and this meant ending my season in July. I was very lucky that HMT Hospitals offered to sponsor my operation, meaning I could have it done in time to start training for the 2019 season. The team have also been very understanding, offering me another year on the same conditions. 5 months on from my operation I feel almost fully recovered. I have been able to get a good winter’s training done and my power numbers are better than ever. The real test however, will be when the races start at the end of February. However this season goes, I am extremely grateful to Tony Barett for the help from HMT hospitals. Thanks also to the Dave Rayner Fund and the guys at Eiser Hirumet for the support.